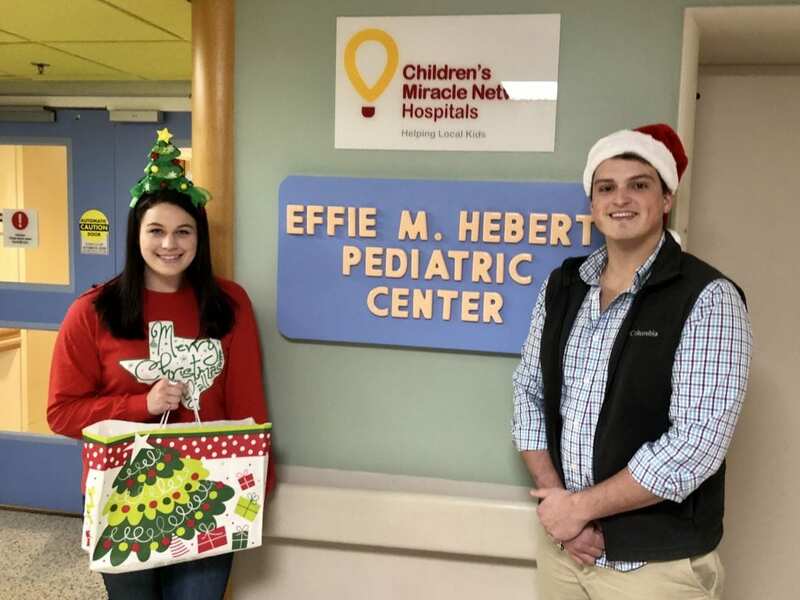 On Christmas Eve, Lamar University Dance Marathon students Kendall Smith (left) and Cade Johnson (right) gave coloring books and crayons to pediatric patients at CHRISTUS Southeast Texas St. Elizabeth. The students purchased, wrapped, and delivered the activity sets as a way to give back to their community. Kendall and Cade were able to hand-deliver gifts to kids in Emergency Department and even dropped off a few coloring books at the NICU for siblings of NICU babies who might need some entertainment. These benevolent students raise money for sick and injured kids at their local Children’s Miracle Network Hospitals throughout the year through Lamar University Dance Marathon. If you’d like to support their efforts, you can make a secure online donation to their individual fundraising pages using the links below. Next post: 2019 Significant Milestone Partner Anniversaries!